Marketplaces and prices shown matched UPC number 732233414643 during our search. 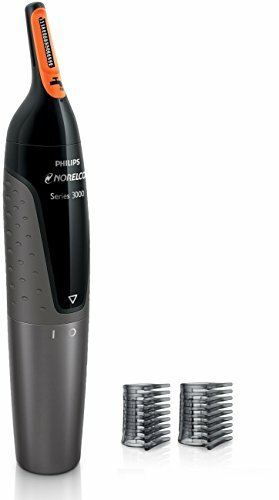 "The Philips Norelco Nose Trimmer 3100 has a unique ProtecTube guard system to prevent pulls, nicks, and cuts. It is angled for easy reach and ultimate comfort. Remove unwanted nose and ear hair safely and comfortably. The ultra-sharp finely ground Chromium steel blade protects against nicks and cuts. The device is fully washable, simply rinse the device under faucet for easy cleaning. Nose Trimmer 3100 comes with a 45 day money back guarantee and a full 2 year warranty. Packaging Includes: Precision trimmer, AA battery, eyebrow comb. 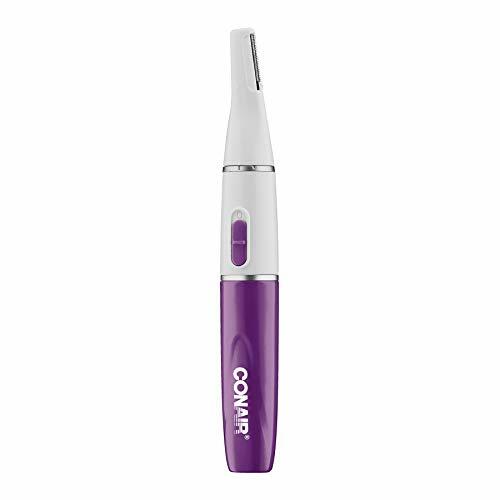 FREQUENTLY ASKED QUESTIONS What should I do if my nose trimmer does not work anymore? If you press the on/off button and your nose trimmer does not start: 1. The trimming element could be blocked by dirt. Soak the cutting element of the nose trimmer in a bowl of warm water with a little soap for about 2 minutes. 2. The battery could be empty. Replace the battery with a new one. If your nose trimmer still does not work, please contact Philips Norelco manufacturer’s warranty. What is the best way to clean this product? We advise you to clean the product after each use. For specific instructions, please consult the user manual. The handle of my nose trimmer became warm when I switched it on. What can I do to solve this problem? The handle probably became warm because the trimming element is so dirty that it got stuck. Soak the trimming element of the nose trimmer in a bowl of warm water with some soap for two minutes. Can the appliance be rinsed under a faucet? Yes, the appliance can be rinsed under the faucet. Can I trim my beard when it is wet? No, the beard should be dry during trimming. Is the appliance watertight? Yes, the appliance is watertight. However, we advise you not to trim or clip your hairs under wet conditions, as wet hairs cannot be lifted by the comb properly. " The Philips Norelco Nose Trimmer 3100 has a unique ProtecTube guard system to prevent pulls, nicks, and cuts. It is angled for easy reach and ultimate comfort. Remove unwanted nose and ear hair safely and comfortably. The ultra-sharp finely ground Chromium steel blade protects against nicks and cuts. The device is fully washable, simply rinse the device under faucet for easy cleaning. Nose Trimmer 3100 comes with a 45 day money back guarantee and a full 2 year warranty. Packaging Includes: Precision trimmer, AA battery, eyebrow comb. 1. The trimming element could be blocked by dirt. Soak the cutting element of the nose trimmer in a bowl of warm water with a little soap for about 2 minutes. 2. The battery could be empty. Replace the battery with a new one. If your nose trimmer still does not work, please contact Philips Norelco manufacturer’s warranty. What is the best way to clean this product? We advise you to clean the product after each use. For specific instructions, please consult the user manual. The handle of my nose trimmer became warm when I switched it on. The handle probably became warm because the trimming element is so dirty that it got stuck. Soak the trimming element of the nose trimmer in a bowl of warm water with some soap for two minutes. No, the beard should be dry during trimming. Yes, the appliance is watertight. However, we advise you not to trim or clip your hairs under wet conditions, as wet hairs cannot be lifted by the comb properly.